CSI is a coworking space, community center, and incubator for people who are changing the world. 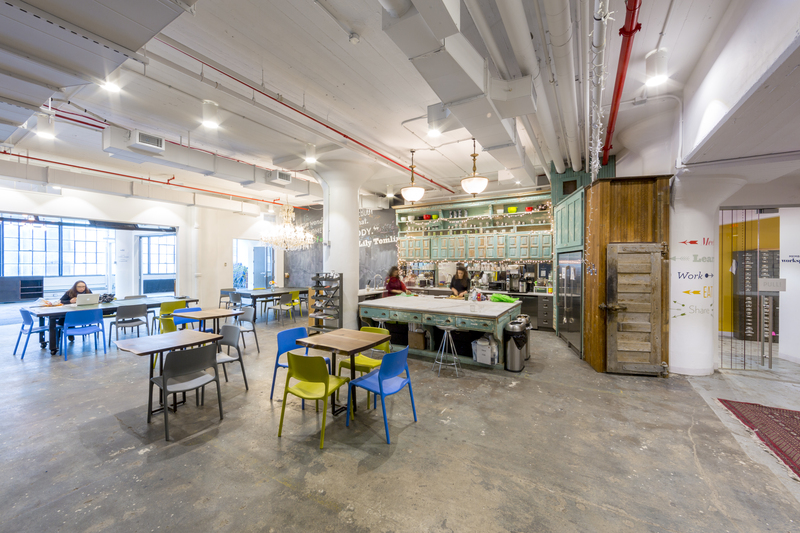 CSI offers up to ten hot desk spaces, each usable for up to 60 hours per month, at no cost to program participants from Parsons. In addition to shared office space, the program offers access to the Centre for Social Innovation’s facilities and rich community of social practice. In turn, participants are expected to become active members of the CSI community (through networking, workshops & other events); create a business plan and update their pitch deck to be delivered as progress reports throughout the incubator cycle; and present their work to CSI and Parsons upon the program’s conclusion. The program managers gather data at the start and end of the program to track the benefits provided to the participants and to identify opportunities for improvement to subsequent cycles. The Brooklyn Law Incubator & Policy (“BLIP”) Clinic functions as a modern, technology-oriented law firm. Since its inception in 2008, BLIP has been training a new generation of lawyers who are well-versed across the spectrum of skills needed to represent emerging tech, Internet, communications, and new media companies. To date, BLIP has helped more than 500 clients presenting diverse legal, business, and policy challenges. BLIP accepts clients who require creative legal representation and arguably advance the Internet or digital economy, and for whom expensive legal services would act as a barrier to entry in their respective industries. BLIP has helped clients with incorporation, intellectual property protection, structuring licensing agreements, web documentation, and has also provided litigation support and general legal advice. NYDesigns is an economic development program of the City University of New York (CUNY) at LaGuardia Community College that catalyzes growth for small businesses and entrepreneurs in the design, fabrication, technology and maker spaces. We pursue this mission by distributing our work across three fundamental concentrations: business incubation, workforce development and advocacy. We are proudly located in Long Island City, Queens.